This week at 'Tis The Season we have a fun inspiration photo. 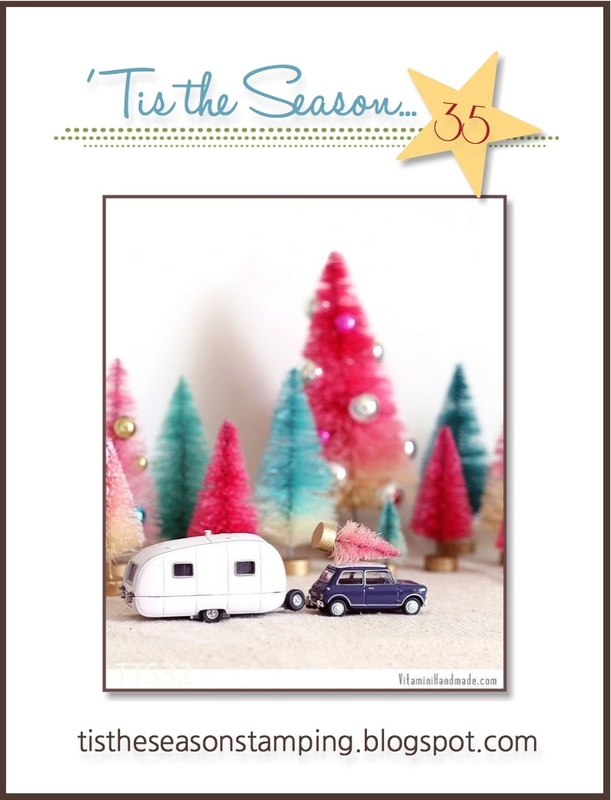 I decided to use the camper and car as the inspiration behind my card as I have the perfect set from Lawn Fawn to use! 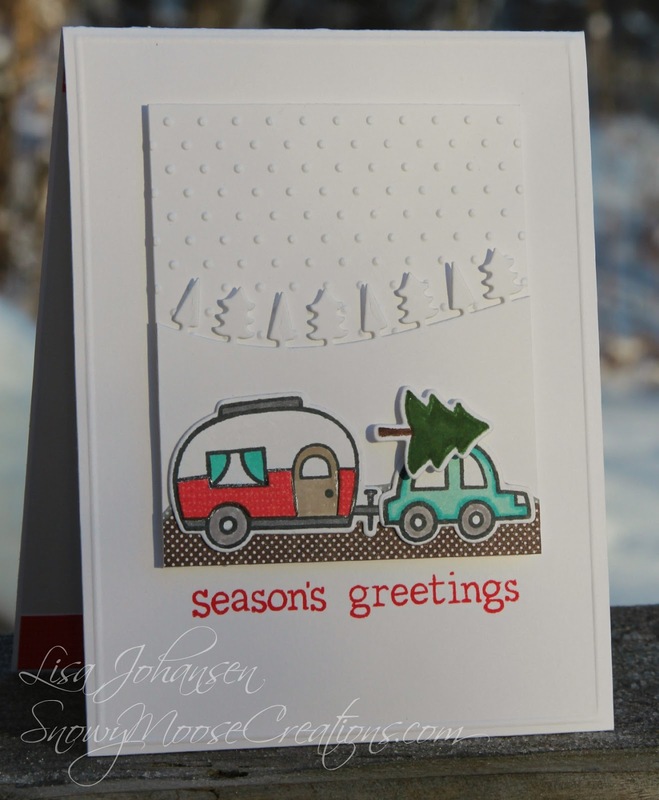 I grabbed the Happy Trails set and matching dies to stamp the trailer, car and tree. The colors I used on the camper and car were also inspired by the photo, the wire brush trees in the background. To create my scene I used the Forest Border die to create the treeline and then the Swiss Dots Cuttlebug EF to create a look of falling snow. I used a snippet of paper from the Snow Day collection to make it look like a snow covered dirt road that the vehicles are traveling on, bringing their Christmas tree home. To finish it all off I popped up the panel with dimensionals on a base of Whisper White card stock and then scored a border around it. I stamped the sentiment underneath the image panel in Real Red, and called it good! This card is also for the Lawnscaping Challenge. White space isn't something that I do often so it was fun to go outside my comfort zone and try something new! Super cute card! I love the winter scene you made, it is is adorable! Thanks for playing the Lawnscaping Challenge! I just love the layout of this card. What a fantastic take on the CAS challenge! 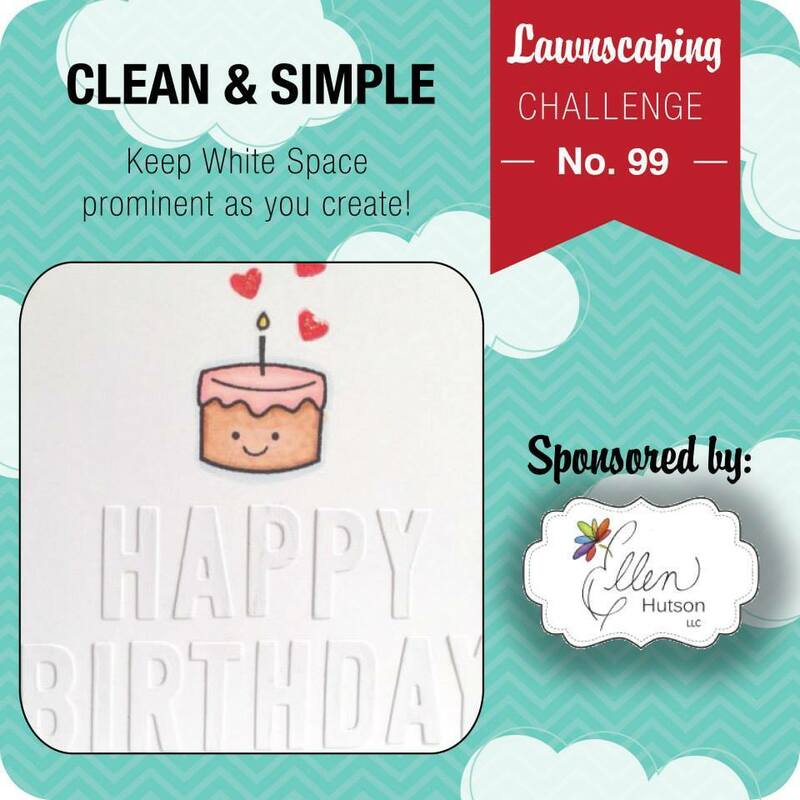 Thanks for playing along with us at Lawnscaping Challenges! So cute! Love the idea and layout, it's a great CAS card and a great white space full of texture!